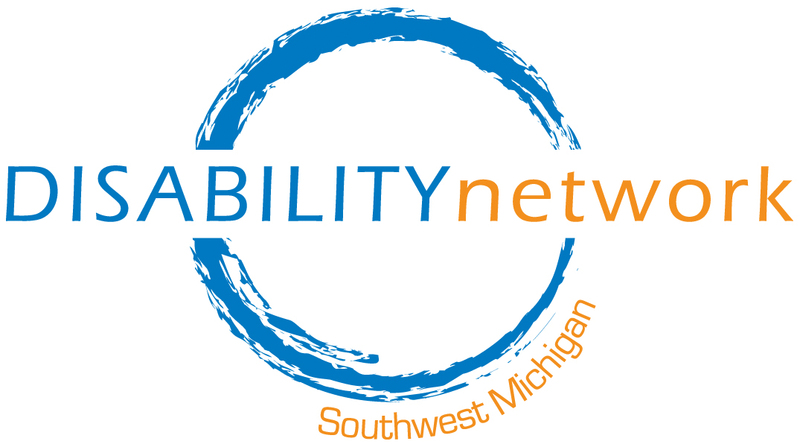 Below is a list by county of agencies providing disability resources in Michigan. Agencies are listed alphabetically by county. A link to the homepage of each agency is provided if one is available. If you know of an agency that should be listed here, contact Dale Abbott at (269) 345-1516 x123. Area Agency on Aging Region 3b promotes health, independence, and choice for older adults and their caregivers in Barry & Calhoun Counties. Autism Alliance of Barry County provides education and informational activities to promote awareness, acceptance, and advocacy throughout Barry County. Barry County Public Transit provides bus service M-F 5:30 am – 5:00 pm for residents of Barry County. Fair Housing Center of Southwest Michigan is committed to eliminating all forms of housing discrimination in Southwest Michigan through fair housing education, enforcement and advocacy. Persons with disabilities are a protected class and landlords cannot discriminate against a person on the basis of disability. Area Agency on Aging Region IV is your source for information, options, and services as people grow older in Berrien, Cass & Van Buren Counties. Lending Hands lends various kinds of home medical and other related equipment, for free and on a temporary basis, to anyone living in Southwest Michigan. Area Agency on Aging Region 3c provides a full range of high quality services, programs, and opportunities which promote the independence and dignity of older adults while supporting those who care for them throughout Branch and St. Joseph Counties. Branch Area Transit Authority is the countywide dial-a-ride service. Their phone number is (517) 278-5889. ARC of Calhoun County helps children and adults with developmental disabilities as they seek to be more self reliant. Autism Society of Kalamazoo/Battle Creek: Call (800) 628-6421. The mission of the Autism Society of Kalamazoo/Battle Creek is to connect individuals within the autism spectrum as well as their community with life long access to resources and opportunities through advocacy, public awareness, education, and research. Community Inclusive Recreation (CIR) has a mission to promote opportunities and personal growth for people of all abilities within the community through relationships, advocacy, and acceptance. Deaf LINK provides sign language interpreters, advocacy and education on issues of importance to the deaf and hard of hearing. Area Agency on Aging Region IV is your source for information, options, and resources as people grow older in Berrien, Cass & Van Buren Counties. Advocacy Services for Kids (ASK) mission is to empower families raising children with mood, behavior and emotional disorders by providing support, training and advocacy skills, and collaborating with community partners to improve the system of care for children. Area Agency on Aging Region 3a provides quality services that enable older persons to live independently with dignity, in their own homes or chosen places of residence. Community Advocates for Persons with Developmental Disabilities is the ARC affiliate in Kalamazoo County. They advocate for and support persons with developmental disabilities and their families. Kalamazoo Community Mental Health & Substance Abuse Services provides a variety of services to adults and children with severe & persistent mental illness, developmental disabilities or substance abuse disorders. Kalamazoo RESA Transition Services has information about school-to-life transition planning for students with disabilities in Kalamazoo County. Kalamazoo Wheelchair Tennis Association provides tennis opportunities to chair athletes who reside in lower Western Michigan. It provides an opportunity for those players who are just beginning and those returning to the sport. Michigan Foundation for the Blind & Visually Impaired is located in Kalamazoo. Holds support groups in senior apartment complexes and assists older adults adjust to living with blindness. Holds two seminars each year for students entering the field of blindness and low vision studies. Parent to Parent of Southwest Michigan is a non-profit community organization offering services at no cost to families who have children with disabilities. Recovery Institute of Southwest Michigan is a Peer-to-Peer organization for people with psychiatric disabilities. They are located Park Trade Center, 326 W. Kalamazoo Ave, Suige 312, Kalamazoo, MI 49007. Call (269) 343-6725 for more information. Senior Services serves seniors in Kalamazoo county, and manages the MI Choice waiver for 5 counties in southwest Michigan. Lending Hands lends various kinds of home medical and other related equipment, free of charge on a temporary basis, to anyone living in Southwest Michigan. St. Joe Community Co-Op is a member owned co-operative whose members receive skill training or other services and become active employees that work no less than ten hours per week. St. Joseph County Transportation Authority provides bus service throughout the county to all residents. Van Buren County Community Mental Health was established to provide mental health services to adults with severe and persistent mental illness, children with severe emotional disturbance, and individuals with developmental disabilities, residing in Van Buren County. Van Buren Public Transit is the county wide dial-a-ride service for all residents of Van Buren County.